According to Irfan Siddiqi (above, left), Berkeley Lab scientist and AQT director, one of the goals of this project is to set up a multi-partner scientific collaboration to build a platform where basic outstanding questions about quantum computing can be answered. AQT will operate as an open resource for the community, allowing external researchers to evaluate superconducting architectures developed by testbed staff and collaborators for simulations in chemistry, materials, and other areas of computation. AQT will also help industry researchers by exploring what approaches are most likely to work and which ones do not. Industry can then take the solid ideas developed by the testbed and transform them into finished commercial products. According to Jonathan Carter (above, right), deputy of science for Berkeley Lab’s Computing Sciences Area and the AQT’s co-principal investigator, Berkeley Lab is uniquely suited to lead this effort because the capabilities of its researchers allow them to attack this problem end-to-end. Over the past five years, Berkeley Lab researchers developed quantum chemistry and optimization algorithms targeting prototype superconducting quantum processors funded by Laboratory Directed Research and Development (LDRD) grants. They proved the viability of their work by running these algorithms on a quantum processor comprising two superconducting transmon qubits developed in Siddiqi’s Quantum Nanoelectronics Lab at the University of California Berkeley. The success of their LDRD work eventually paved the way for two DOE-funded projects to explore quantum computing for science. Additionally, researchers from Berkeley Lab’s Accelerator Technologies and Applied Physics Division will help develop custom quantum control hardware, while the Materials Sciences Divisionwill help with research and materials fabrication and the Computational Research Division will help develop low-level software and custom classical computing architecture. The Advanced Quantum Testbed will be funded by the Department of Energy’s Office of Science. 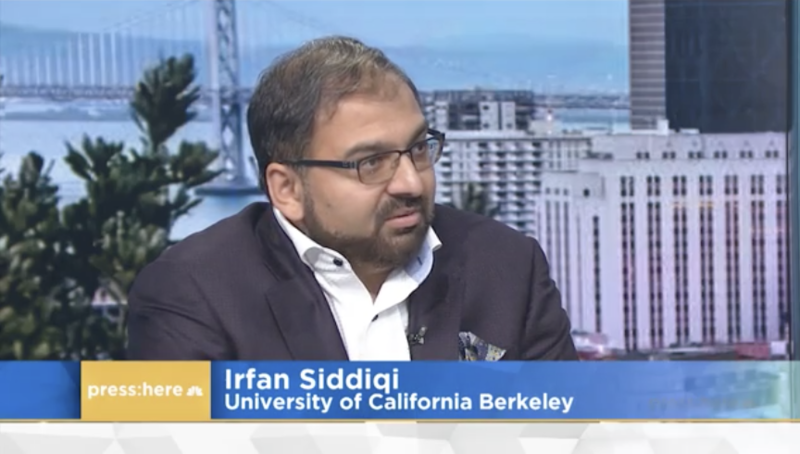 On Sunday, November 4 Professor Siddiqi appeared on NBC's Press:Here to discuss quantum computing and the new Advanced Quantum Computing Testbed. Watch the show.